If you are like so many other homeowners always in search of appealing ways to add to your outdoor living space, then surely you have come to the right place. From sunrooms, decks and patios to outdoor fireplaces and fire pits, homeowners everywhere take pride in adding both style and design to their homes and backyards. The team here at American Renovation Services is on hand to offer creative ideas for your outdoor living space. Adding a sunroom and deck is often a favored choice by so many homeowners and is surely the perfect combination to add style and appeal to your home. 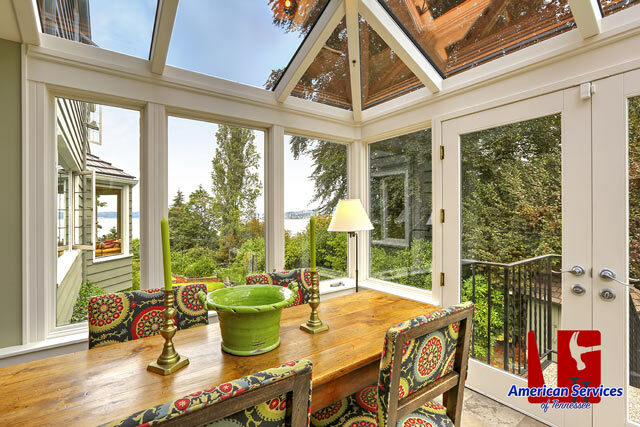 The professionals here at American Renovation Services take tremendous pride in our creative outdoor remodeling services including custom decks and sunroom additions unique in style and design. Sunrooms are surely becoming more and more popular and common since they afford families the opportunity to enjoy the great outdoors regardless of what Mother Nature may bring to the table. The elements offer no limitations when you add a customized sunroom and deck to your home. Not only are they ideal for family activities, but they are great for entertaining guests and hosting outdoor parties as well. 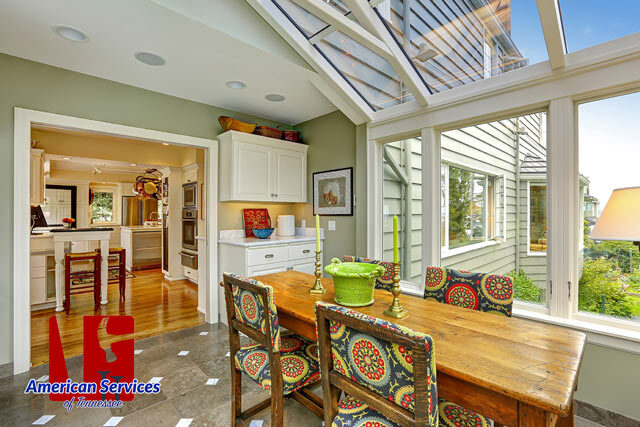 Our highly skilled and trained contractors have the experience, knowledge and know-how needed to help design and create the perfect sunroom and deck for your home and family. We offer a wide range of options and designs that provide complete protection from the outdoor elements, offer added natural light, and deliver superior living space. We have a number of features we offer including custom ceiling options that are truly unmatched by any of our competitors and our contractors are committed and dedicated to designing and building your customized outdoor living space to perfectly match your existing home décor. We know how important it is to satisfy our every client, which is why we work alongside of you in the decision making to ensure that your new outdoor addition is not only practical and useful, but outwardly complements the existing décor of your home. In addition to the design and layout of your sunroom, our experienced professionals are equipped to create and build the perfect deck just outside of your sunroom to extend the overall usable outdoor space even more. Using only state of the art products and materials, we are prepared to bring your outdoor living dreams to reality. We always work within timelines that are accommodating to your needs and our prices are not only practical but affordable. Having earned ourselves a spot at the top of the marketplace charts for our products, services and customer satisfaction rating, our team remains steadfast in maintaining that very industry presence. We will come out to your home and provide you with a free consultation. Our contractors are here to answer all your questions and address your every concern. With years of experience in home remodeling and renovations, the folks here at American Renovation Services stand ready to serve your every need. Spring is here and summer is right around the corner. What better time to start planning your outdoor living space project. There is truly no project too big or too small for our friendly and professional team. 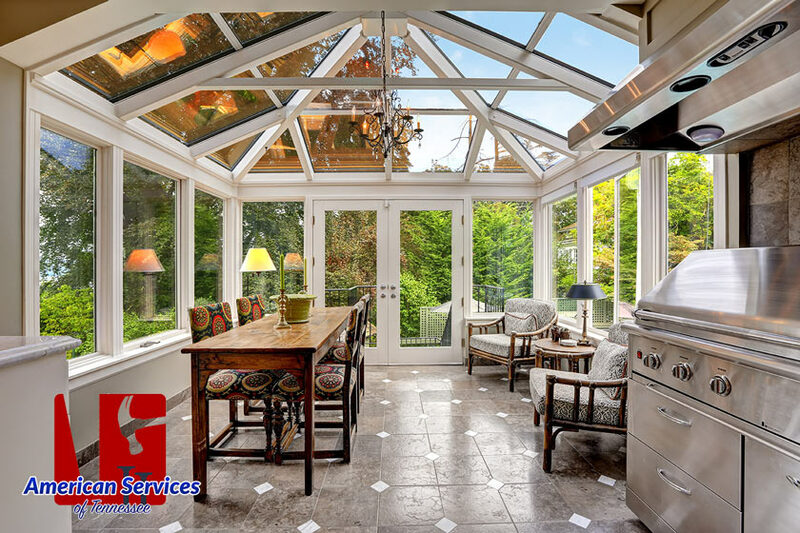 To learn more about our top-rated services, including the many sunroom and deck options we offer, reach out to our friendly team and schedule your free consultation today. We look forward to serving you and to providing you with the best all round home remodeling services this side of Nashville. American Renovation Services – your go to company for all your renovation and remodeling needs! !